Happy Chinese New Year! This Lunar New Year is the year of the pig.Pig is the 12th animal in 12 Chinese zodiac signs. Pig month is connected to the first month of winter. If your lucky element of your Chinese birth chart is water, then Pig will bring you good fortune in 2019. The new year, also known in China as the Spring Festival, is marked by the lunisolar Chinese calendar. The festivities start the day before the new year and continue until the Lantern Festival, the 15th day of the new year. In Celebration we created The Schezwan Caesar. 1. Rim glass with salt and fill with ice. 2. Pour 1oz of vodka and top off glass with Clamato. 3. Season Caesar with 1oz of Caesar Squeezer and 1 tsp. of Szchewan Sauce. 4. Garnish with a wonton spoon filled with Szchewan Sauce, cooked Dumpling, Enoki Mushroom and Green Onion. Celebrate this Chinese New Year with our Schwean Caesar or make it on a night in with Chinese take out. Enjoy! 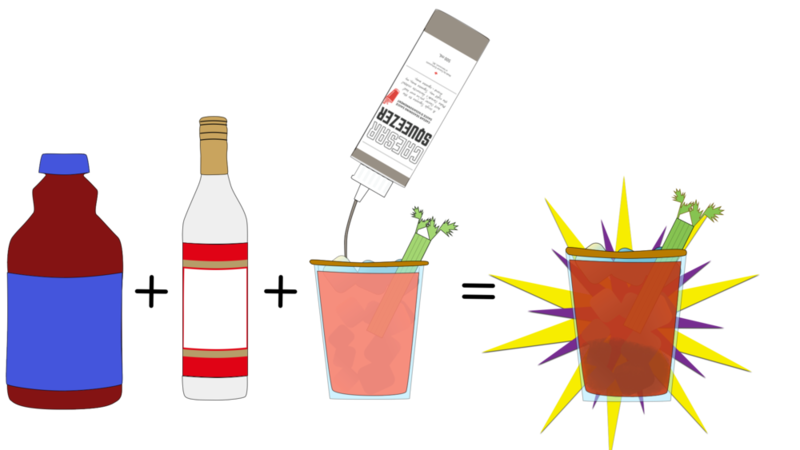 Caesar Squeezers recipes are coming your way!